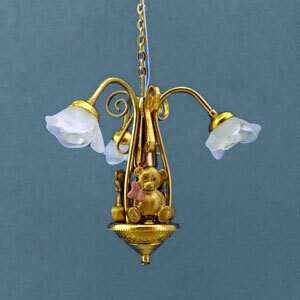 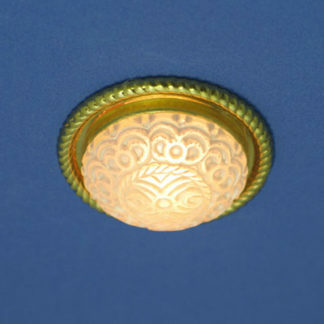 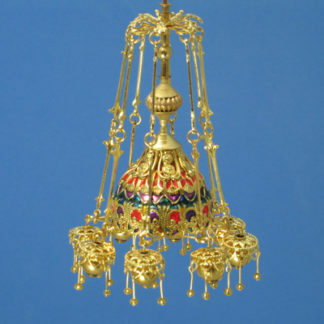 QS-Daisy Quarter Scale “Daisy” Fixture – Lighting Bug Ltd. 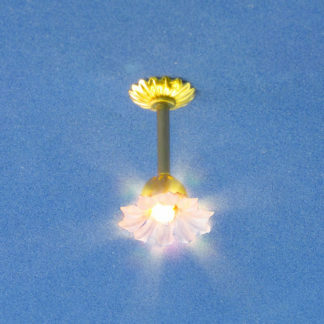 This quarter scale fixture features a standoff tube to allow it to be used in rooms with taller ceilings. 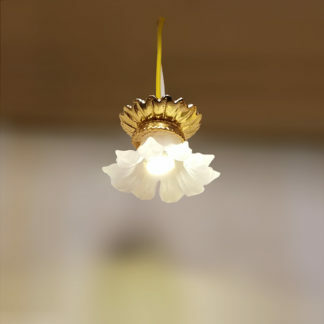 It has a frosted shade and uses a bare warm-white Novalyte LED as the light soruce. 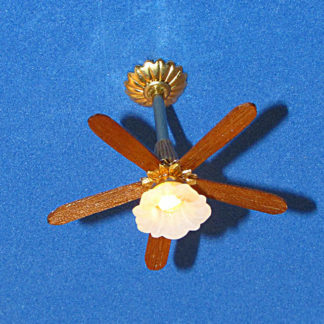 NOTE: Requires the Lighting Bug Wiring Wizard system for power.